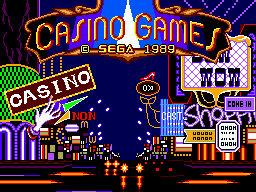 Casino Games is a Sega Master System game released in 1989. It contains poker, blackjack, baccarat, slot machines and a pinball table. Main article: Casino Games/Magazine articles.